Welcome to Mainsail! 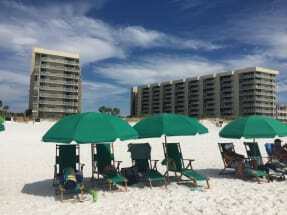 Mainsail Resort in Destin is a fantastic condominium complex that has 8 stories that look over the beautiful white sand and amazing sparkling water of The Gulf of Mexico. 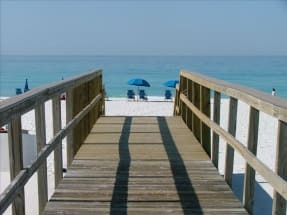 These condominiums have anywhere between 1 and 4 bedrooms with 1- 3 bathrooms to fit as many people as you may need. This complex also provides guests with 2 community pools, a kiddie pool, hot tub, sauna and of course a game room. Guests with vehicles are also given the covered parking choice. 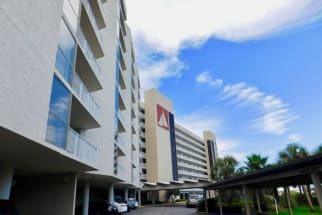 These luxurious condominiums are nearby the Silver Sands Designer Outlet so you can shop until you drop while you take a break from the Florida sun. Don't forget to make a stop at Alvin's Island Surf Shop to pick up all of the souvenirs that you could think of, from t-shirts, hats and sunglasses, to hair wraps and henna tattoos and even live hermit crabs! This area has many activities for you and your family to take part in, with so much to do a week might not be long enough to see it all! 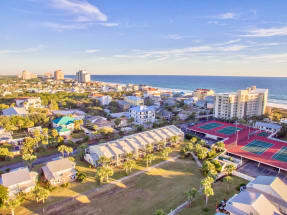 After you find the perfect Mainsail Resort condo for you and your family on Emerald Coast By Owner, call the owner immediately to book your Destin vacation! When you book direct with the owner you are able to ask important questions before you book. ECBYO does not charge any service fees when you book with us, so book online today and save! 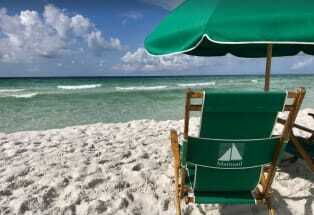 Enjoy your stay in Mainsail Destin Florida!